Obsessed with the perfect grave, an official in southern China embezzled millions to construct a luxurious tomb in accordance with the principles of feng shui. 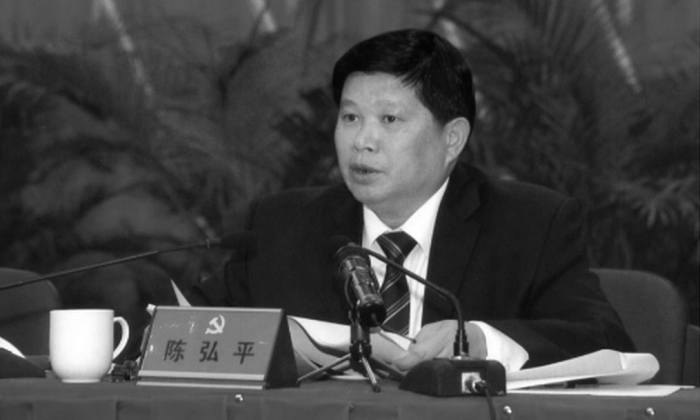 Chen Hongping, formerly the municipal Party secretary of Jieyang in Guangdong Province, was tried on April 21 for accepting the “unprecedented” sum of over 125 million yuan (about $20 million) in bribes, embezzling public funds, and abuse of power between 2004 and 2011, according to a report by the state-run news agency Xinhua. The court indictment said that Chen was setting aside extensive family burial grounds for himself in a Jieyang suburb in 2010. Claiming that he would fix roads and build a dam in the area, Chen embezzled three and a half million yuan (about $565,000) for the personal project. Feng shui, known also as geomancy, is a traditional Chinese philosophical practice associated with the harmonious and auspicious placement of objects such as buildings and foliage in their larger environment. Though suppressed as “superstition” during the 10-year Cultural Revolution (1966–1976), it has made a resurgence in modern Chinese society. Communist Party members are still expressly prohibited from holding any “superstitious” beliefs, including feng shui, though recent reports show that in the spiritual vacuum created by the lack of faith in Marxism, Party cadres have been increasingly turning to folk customs and beliefs. Officials in Jieyang reported that Chen Hongping often spent his spare time on trips to the mountains and countryside, bringing a feng shui compass with him. Some business owners even consulted him for his knowledge, Xinhua reported. Aside from his personal grave site, Chen was also reported to have exercised feng shui principles in urban construction projects. Under his orders, the city erected a gate tower in downtown Jieyang. It has nine pillars, each 10 meters tall surrounding a giant rhyolite boulder shipped from legendary Mount Tai in Shandong Province. The gate is designed with the principles of feng shui in mind so as to bring good fortune to the city and its residents. Tens of millions of yuan were expended just to transport the rhyolite boulder from Shandong to Jieyang, according to the Xinhua report. Feng shui was not just Chen’s private interest, but something that he promoted actively among his Communist Party colleagues. According to an unnamed official in Jieyang, Chen encouraged the study of feng shui among Party and government workers. Aside from feng shui, which is a common topic of discussion among Chinese officials and many Communist Party and government organizations in Jieyang even feature Buddha statues in their offices, Xinhua reported. Enthusiasm for fortune telling and Feng Shui is common in Chinese communist officialdom as party members lose faith in communism.